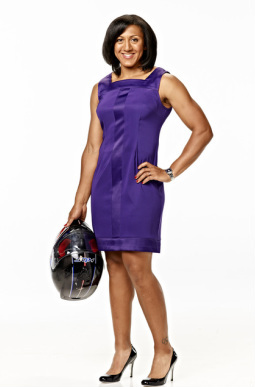 Elana Meyers-Taylor began the sport of bobsled in 2007, making the national team her rookie season. In 2008 she won her first World Cup medal, a bronze with driver Shauna Rohbock. She followed the performance with a gold medal at the inaugural World Cup in Whistler, Canada. 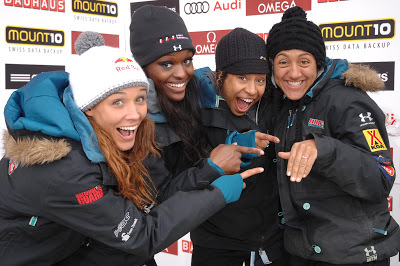 At the 2009 World Championships, Meyers-Taylor pushed with driver Shauna Rohbock to win silver, and won the 2010 Olympic bronze medal with pilot Erin Pac in Whistler. Since the Games, Meyers has moved into the driver's seat, and has been selected by the coaching staff as an emerging elite pilot. With her teammate, Lauryn Williams, Meyers-Taylor competed at the 2014 Olympic Games in Sochi and brought home the Silver Medal. 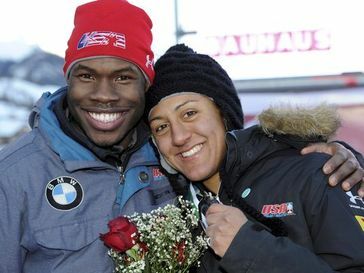 Meyers-Taylor currently is serving as an Athlete Director on the USBSF Board of Directors. Meyers-Taylor graduated from George Washington University in Washington D.C. in 2011 with a master's degree in Sports Management after finishing her B.S. in Exercise Science at George Washington in 2007. While at George Washington she played shortstop and pitcher for the softball team. Meyers was named to the ECAC Division I softball All-Star team in July 2007 for leading the Colonials to their first ever Atlantic 10 Tournament appearance with a game-winning grand slam in her final home game. In addition to bobsled, Meyers-Taylor also plays for the Mid-Michigan Ice, a professional softball team based in Midland, Michigan. She is now studying Business Administration at DeVry University. 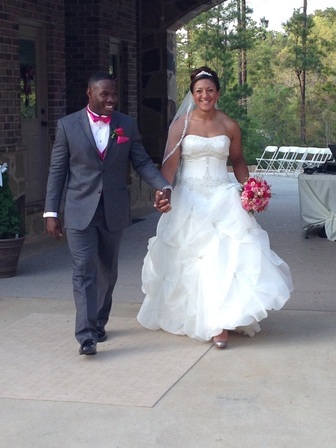 Elana Meyers Taylor and Nic Taylor. 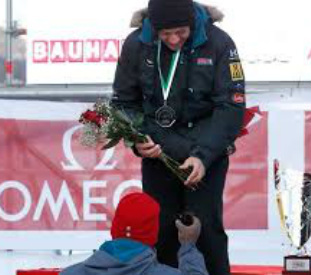 Nic proposed to Elana at the 2013 World Championships in St. Moritz. Check out the photos and video (lower right) of his proposal while Elana was still on the medal stand. She had just won the SILVER Medal - now that's a good day! at their home in Georgia.